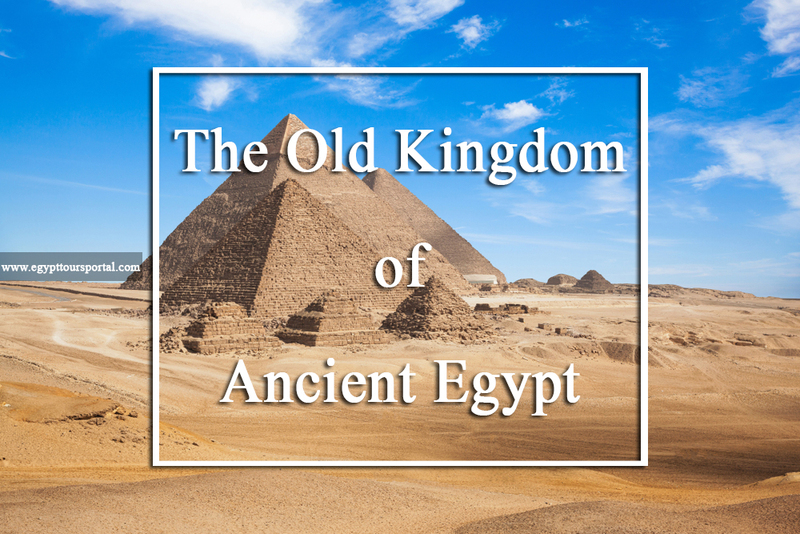 The time of the old kingdom of ancient Egypt is considered the starting point of one of history’s greatest miracles. 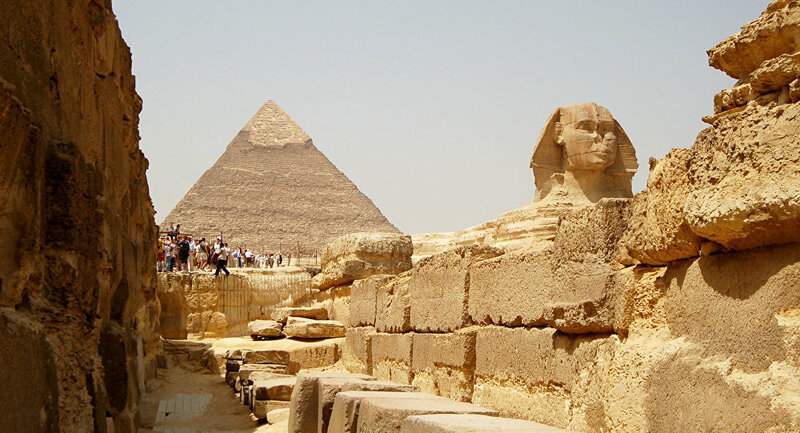 Between 2686-2181 BCE, from the third dynasty to the sixth dynasty, the golden age of the pyramids began and Egypt reached the highest peak of artistry and intelligence as it shows in the three great pyramids of Giza and the Sphinx which was built during this era, also which you can visit during your Egypt tours. Most the information we acquired like the Pharaoh’s names, dates and important events was literally inscribed on a stone like the walls of the mortuary temples and the Pyramid Texts that shed some light on their religious beliefs during the old kingdom of ancient Egypt. It is known to be a period of stability, centralized government, order and progress under the guidance of goddess Maat which led to the construction of magical monuments that stood the test of time but that didn’t last for long as it was followed by a period of cultural decline, social unrest and conflict called the first intermediate period until the rise of the twelfth dynasty who created the middle kingdom. The person who rolled the wheel of progress was pharaoh Djoser of the 3th dynasty (2630-2611 B.C.E) who ordered the construction of the step pyramid of Saqqara in Memphis from his vizier and main architect Imhotep (2667-2600 BCE) who revolutionized the art of architecture and construction in Egypt by building the tomb of Saqqara in the shape of a complex with a stone pyramid and surrounded by temples, all made out of stone instead of the usual mud bricks as Imhotep wanted to his king Djoser to have an ever-lasting memorial, thus creating a frenzy of pyramid building that led to majestic Giza pyramid complex. The old kingdom of ancient Egypt reached their highest summit of prosperity and royal power thanks to the irrigation of the Nile, fertile land, the existence of a huge labor power and materials that resulted in flourishing state of commerce and trade which led pharaoh Sneferu of the fourth dynasty (2575-2551 B.C.E) to use an unbelievable amount of stones than any other pharaoh to construct many failed pyramids except of the small red pyramid in Dashur. Sneferu may have failed in constructing immortal pyramids but his son Khufu (2551-2528 B.C.E) was successful in creating the tallest construction until the late nineteenth century. After his death, his son Khafra (2520-2494 B.C.E) completed his legacy by constructing the second pyramid and the glorious Sphinx in the image of his face Khufu, then came Menkaura (2494-2472 B.C.E) the last king of the fourth dynasty who built the smallest pyramids of the three thus completing the whole set. The old kingdom is famous for having a very organized central government in the capital Memphis that controlled the independent states of the country called districts, they had a sophisticated central administration divided into ministries governed by a vizier who in most cases was a royal prince. 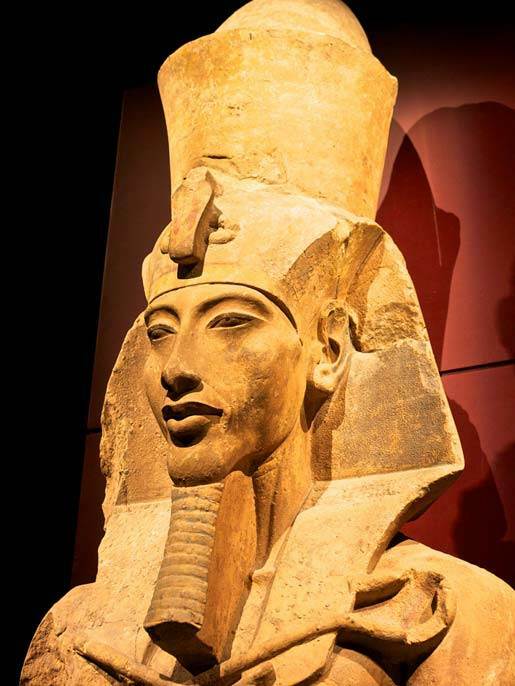 The country and public were controlled by the belief that the pharaoh is a god who should be worshiped as he is the one who ensured the annual floods of the Nile and the pharaoh worked on bringing unity to the people and stability to the cycles of time. The pharaoh’s divinity was the central focus of the political system all of the above was under the watch of principles and universal laws of Maat as it states that the ruler holds the responsibility to maintain justice, stability and common good for all. At the end of the era of the Old Kindom of ancient Egypt, many famines happened which resulted in blaming the pharaoh for breaking the laws of Maat which led Egypt to divide and put a rest to the flourishing days of the old kingdom. The final days of the old kingdom of ancient Egypt were filled with civil wars between governors and rise of the power level of the priesthood which destroyed any kind of central authority and unity. The economy of the country was still damaged because of all of Khufu’s massive constructions and with the climate shift that prevented the usual flooding of the Nile led to decades of famine and never-ending conflicts during the first intermediate. Check our Egypt tour packages and Nile cruises to book one of our breathtaking tours to discover Egypt with private vacations that well created by professional tour operators.